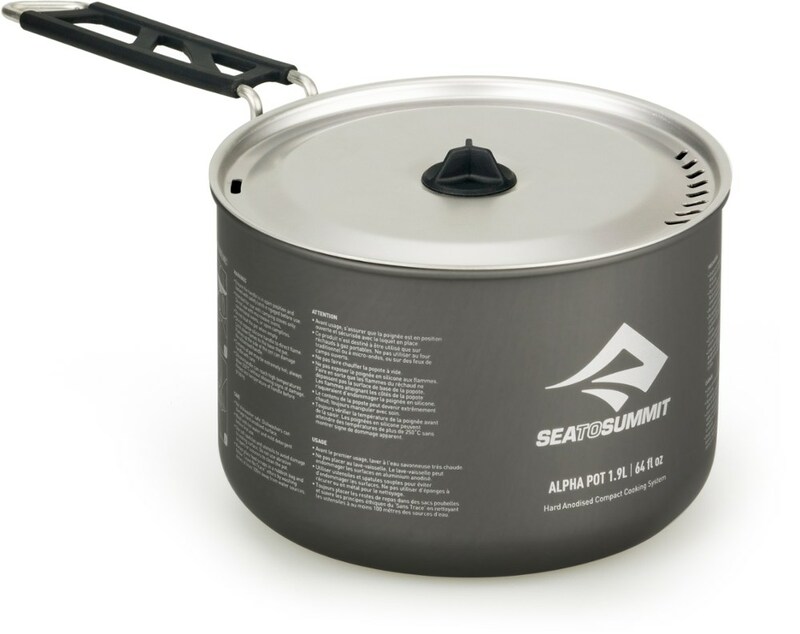 Sea to Summit Camp & Hike Alpha Cook Set 1.1 1.2L pot 1 Bowl 1 Cups 720. 1 is the ultimate lightweight nesting camp kitchen setto prepare your culinary delights in the backcountry. Constructed from a hard-anodized alloy the Alpha Pots are super durable abrasion resistant and very easy-to-clean. 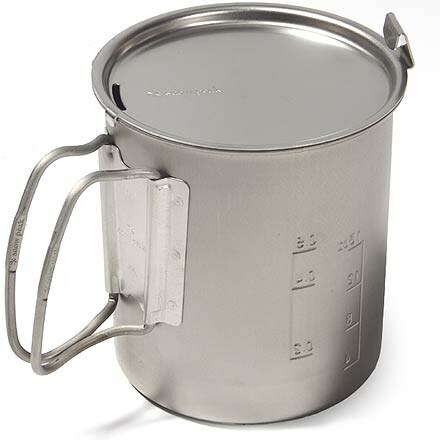 We've incorporated someclever technology like the Pivot-Lock handle that locks firmly in place unique slotted strainer pattern in the lid and the silicone Lid Keep to rest your pot lid on the side of your pot and not on the ground. With the addition of the Delta Light dinnerware pieces and the ability to nest together and you'll be creating mouth-watering gourmets dishes for every outdoor meal. 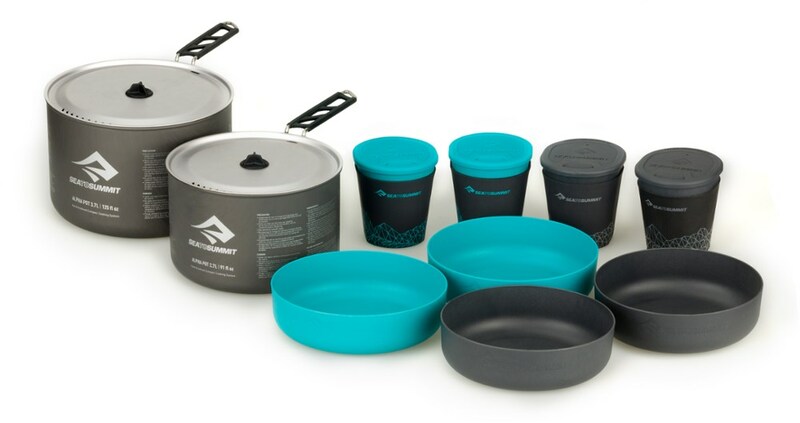 When it's just you and the sound of a gurgling alpine stream-and the occasional chirp of a marmot or 2-cook up a hearty backcountry meal using the compact Sea to Summit Alpha cookset 1.1. 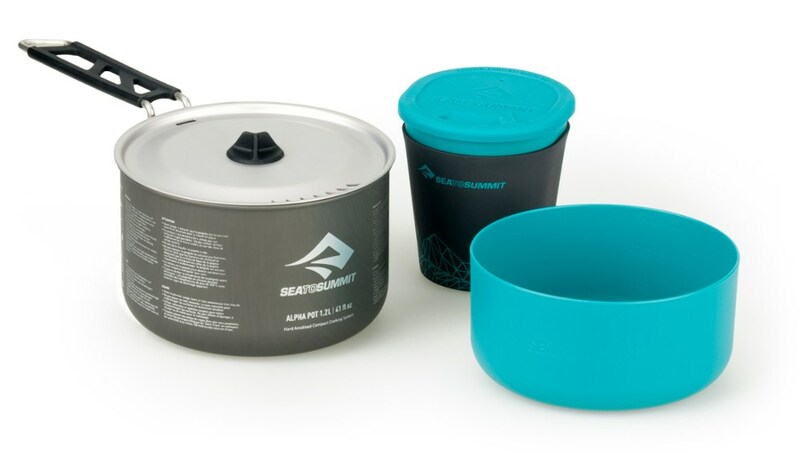 Don't give up on your aspirations to cook gourmet meals on backpacking trips with the Sea To Summit Alphapot Cookset 1. 1. 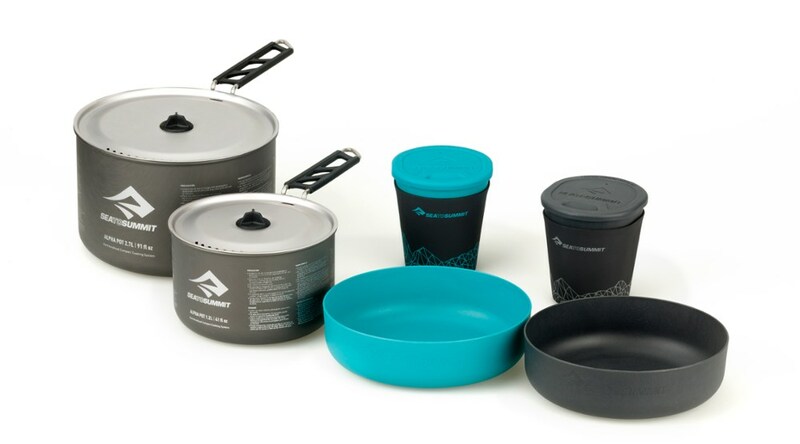 Perfect for meals for one person, this nifty set includes a lightweight pot, bowl, insulated mug, and even a bonus dishcloth. 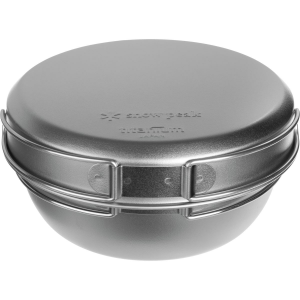 The pot is durable and easy to clean, with a slotted strainer pattern in the lid for mess-free draining. 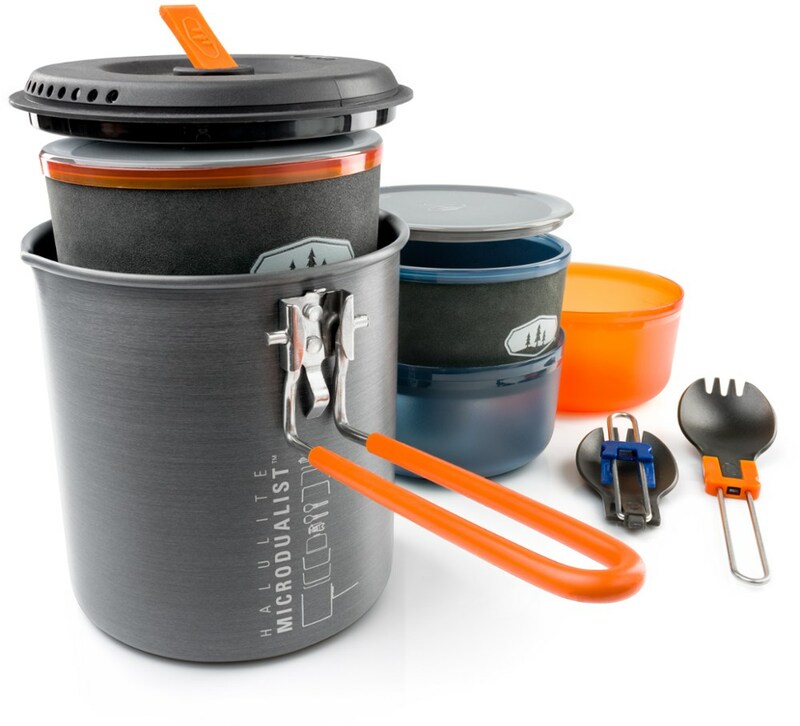 Sea To Summit added a silicone Lid Keep so you can rest the pot lid on the side of the pot and not have to put it on the dirty ground, and when the set is packed up for transportation the handle locks the pot lid in place to contain the bowl and mug.